Part of what makes us unique as a Microsoft partner is our four pillars: service, support, education, and add-ons. This means you are never implementing a solution into a void. The goal is to provide all the tools you need to make your Dynamics 365/Office 365 solution successful, by utilizing do-it-yourself resources like The CRM Book, our PowerPack add-ons for Dynamics 365, and the PowerSuccess Program. Get services tailored to your unique needs. Our team of unmatched Dynamics 365 consultants is versed in providing services to small business and do-it-yourselfers all the way up to enterprise organizations—and we know that your solution needs to be tailored to your business. Rely on support from the largest Dynamics 365 support desk outside of Microsoft. We are passionate about offering responsive support to Dynamics 365 users. 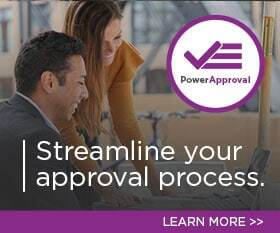 We offer standard on-demand support services as well as premium, subscription-based support like PowerSuccess. Empower your users and administrators through PowerObjects education and training. PowerObjects promotes CRM education to power users to get the most out of Dynamics 365, from user basics to extending and administering the system. We host regular webinars, boot camps, developer trainings, and much more. Extend your system through the PowerPack add-ons, choosing only what you need. Our plug-and-play add-ons gives your Dynamics 365 extra capabilities in the areas of sales, marketing, and productivity. Ready to get started? Give our CRM Starter Kit a try today! The CRM Starter Kit is a downloadable .zip file that contains several documents to help you think through some crucial points before making a decision about what solution is right for you.